Bosch is an original equipment manufacturer and supplier for most ignition products that they carry in their aftermarket program. This program consists of spark plugs, ignition coils, distributor caps and rotors, rebuilt distributors, and a variety of other ignition sensors and products. Each of these products will have the Bosch brand name and reputation to stand behind their overall superb quality, fit, and finish. You cannot go wrong buying Bosch for you vehicle. If this is not the exact Spark Plug (Bosch Iridium) you are looking for, or you would like this part in a brand other than Bosch, please contact us and one of our customer service experts will help you locate the exact part you need. eEuroparts.com® proudly offers wholesale prices and fast shipping available on most orders. 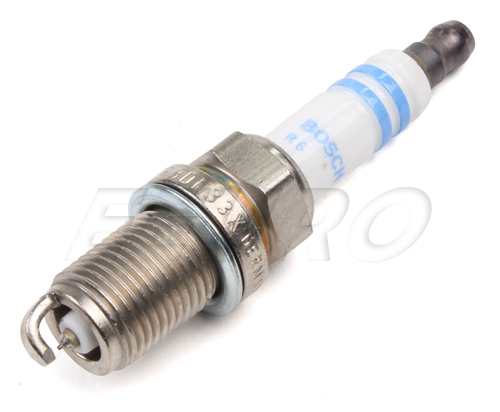 We also provide inexpensive and guaranteed 3 day, 2 day, and Overnight shipping options, so if you need your Spark Plug (Bosch Iridium) tomorrow, eEuroparts.com® can deliver! Every eEuroparts.com® order is track-able, meaning you'll know exactly where your Spark Plug (Bosch Iridium) is at every step of the shipping process. eEuroparts.com® also displays your Expected Ship Date and transit time in your Cart, making our entire shipping process simple and transparent.